Besides writing stories, the other thing I've loved to do since I was a kid is draw. Growing up, you'd typically find me with either a book or a sketch pad in hand. 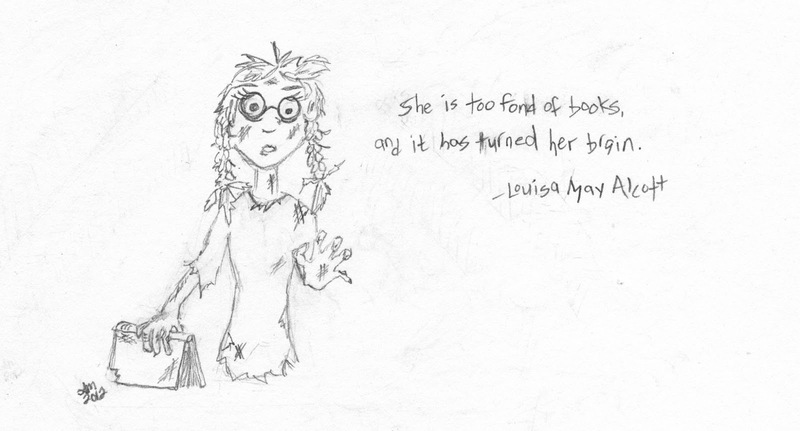 So for today's Saturday fun, I thought I'd share a recent bookish sketch, inspired by one of my favorite quotes. Speaking of zombies, I'm currently reading Warm Bodies by Isaac Marion. Stay tuned for the review!